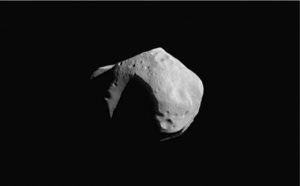 Asteroids are made up of rock and metal for the most part, and in different areas of our solar system made up of ice and other materials. In our solar system there are two belts of asteroids that orbit our sun. The belts are made up of materials left over from when the planets were formed. 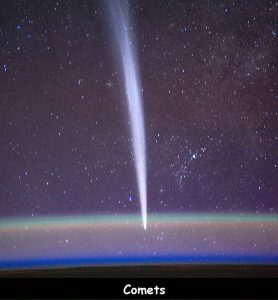 One is called ‘The Asteroid belt’ which is the remains of a planet between Mars and Jupiter that failed to fully form. The other is called ‘The Kuiper Belt’ which is about 4 billion miles away from the sun! Billions of asteroids make up both of these belts that are in our solar system. Scientists have identified hundreds of thousands of these asteroids, and have also named thousands of them. These meteorites are mostly made up of rock and iron. 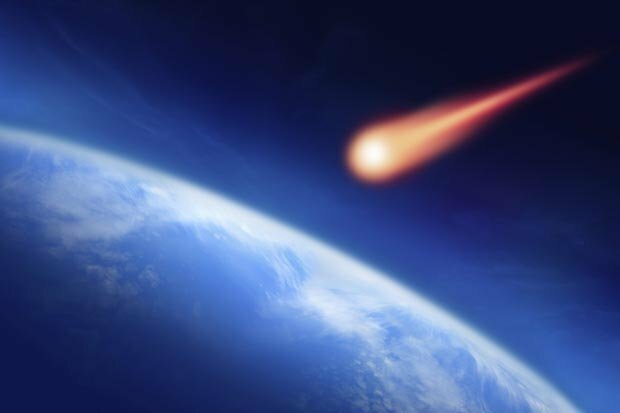 There is a theory that life started on Earth due to a meteorite crash. A meteorite was discovered crashed on Earth from somewhere in the solar system. Traces of Amino Acids were found that are the building blocks for forming proteins. In turn proteins make up life. # 1. More than 100 Asteroids are known to have orbiting moons. # 2. An Asteroid may have caused the extinction of the dinosaurs 65 million years ago. # 3. More than 10 unmanned spacecraft have landed on asteroids in the recent past. Q. What are the names of both belts in the solar system? Q. 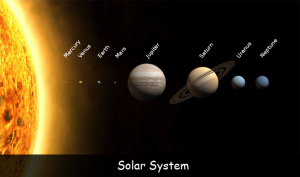 Between what planets does ‘The Asteroid Belt’ sit? Q. 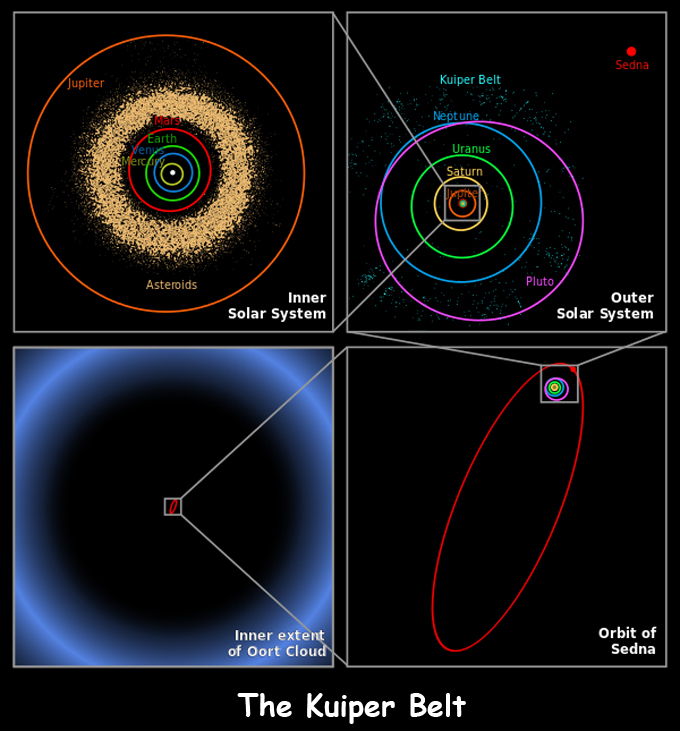 How many miles away is ‘The Kuiper Belt’ from the sun? Q. Name two things that asteroids are made of? Q. 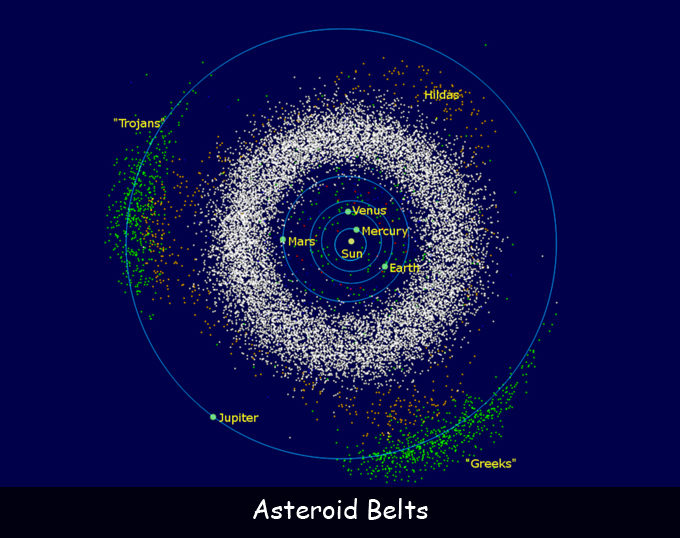 How many asteroids make up the asteroid belts? Key Vocabulary Solar System. Planet. Rock. Metal. Iron. Ice. Amino Acids. Proteins.